Ms. Conrow joined Coughlin & Gerhart, L.L.P. in 2000 and is a partner in the firm. Ms. Conrow concentrates her practice in the litigation field, with emphasis on municipal liability, including police and fire disability and retirement claims, labor negotiations, workers’ compensation and social security claims. Her previous experience includes private practice in Broome County; Vice President of Workers’ Compensation and Disability for EM Ernst Management; Risk Manager for Broome County; First Assistant Corporation Counsel for the City of Binghamton; Assistant Broome County Public Defender. Ms. Conrow is a member of the Broome County Bar Association and the New York State Bar Association (Torts & Compensation Section, Municipal Law Section and Labor Law Section). 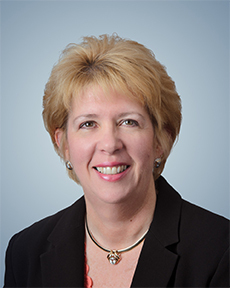 She is also a member of the New York State Association of Self-Insured Counties, the New York State Public Employer Labor Relations Association, the Southern Tier Workers’ Compensation Coalition (Past Chairperson), and the Workers’ Compensation Appellate Practice & Procedures Committee. Ms. Conrow is a past member of the Board of Directors of the BC Pops and a past President and current member of the St. Bonaventure University Alumni Association. She is also a past member of the Broome County Chamber of Commerce Governmental Affairs Committee. She also volunteers for the YWCA Encore Breast Cancer Awareness Program. She is also a member of the Christ Church Vestry. New York State Retirement Systems, New York State Association of Career Fire Chiefs, New York State Association of Fire Chiefs, The Albany Department of Public Safety, Executive Services Corps of the Tri-Cities, New York State Rural Housing Association, Law Enforcement Executive Development Seminar-Municipal Service Division, New York State Department of Civil Service, Cornell University Institute of Labor Relations and New York State Association of Self-Insured Counties. New York State Public Employment Relations Board (PERB), and Law Enforcement Training Directors Association of New York State.